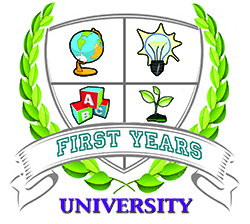 First Years University Preschool & Daycare is a state certified child care center located on Dixie Hwy in the heart of historic Downtown Homewood, IL. We offer year-round affordable child care for infants, toddlers, pre-schoolers, and school-age children from age 6-12. We also offer before-and-after school daycare services with transportation and summer camp to accommodate all of our parent’s busy schedules. Finally, we encourage our families to participate in our special events like our many field trips or family games nights!